I cannot express my neverending love for Apple's iPhone and cant wait for iPhone 5 (super excited!!). So here is a picture of iPhone 5th generation which in my opinion is most believable. It all started in January when I got my first iPhone 3gs, just for using silly reasons. 10 days later: I wanted to get iPhone 4 did a bit research and found that my dear iPhone 5 is going to be launched soon. So I thought its better to wait a while to get something more awesome. 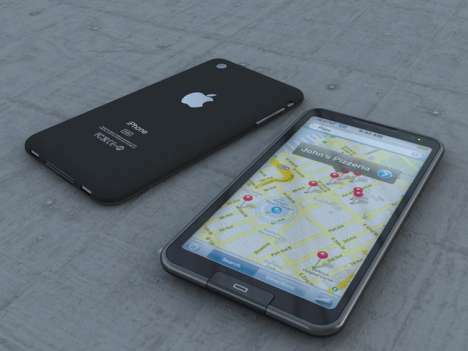 :D I am sure its going to be worth the wait and I hope its slimmer and this picture is really really close to what I think iphone5 will be. I love you and I will be with you soon. Till then I'll just do with your elder brother.